How do you set up a WordPress website from scratch? That is the question we received recently from a client interested in setting up their first WordPress site. The idea sparked this beginner’s guide to WordPress. Why WordPress? What do you need to set it up? 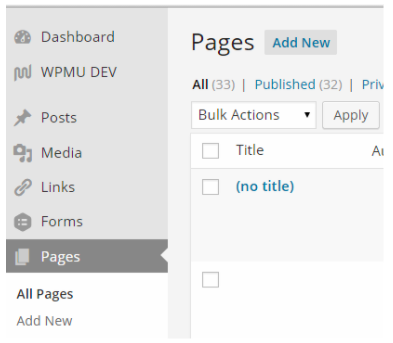 How do you use the WordPress dashboard for modifying content? These are many of the questions that we talk about in this guide how to set up a WordPress site for your business. WordPress is a free platform launched a little over 12 years ago to help bloggers create content on a regular basis. The idea since expanded, but the platform itself maintains a few major advantages over other website builders. 24% of all websites now use WordPress. 60% of all content management systems (CMS) are WordPress based. The reason for this is simple: it works. Over 30,000 plugins to help website admins alter their site for whatever purpose they need. Joomla, the second largest CMS has 9,000. Little to no coding knowledge needed to create a website with WordPress. Built-in blogging capabilities and enhanced search engine optimization tools. WordPress allows multiple users to run the website. Now that you understand a little more about WordPress, you need to be aware of the two major types of WordPress sites. First, WordPress.com is the hosted option. Essentially, this means you can have a website for free on WordPress. The downside to having a free account on WordPress.com is your website includes the words WordPress.Com in the URL. The only way to remove this is by using WordPress.Org, which we discuss below. Additionally, you have fewer options to make changes on the WordPress.Com side. For example, if you want to add a theme you have to buy one of the premium themes. 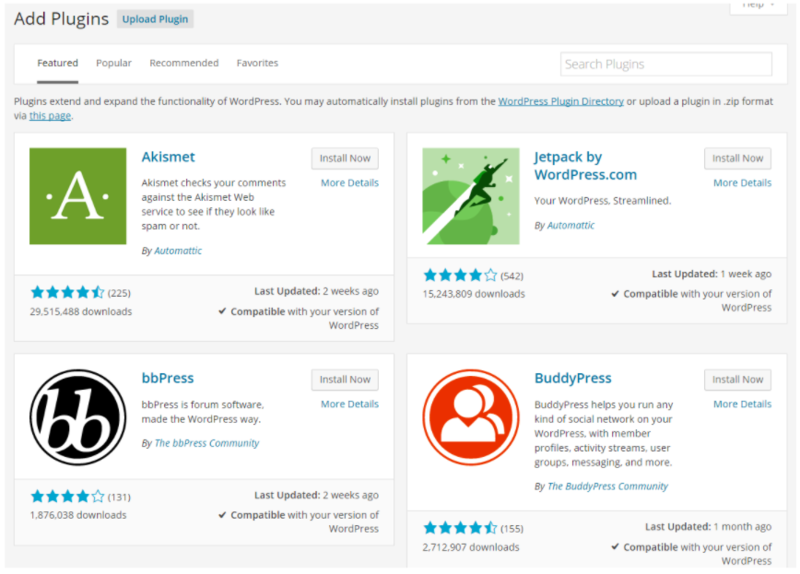 Only the Jetpack plugin and a few select WordPress plugins are available on WordPress.Com. For business purposes, this makes using WordPress.Com not helpful. That is why this guide focuses on using WordPress.Org for your website. Create a website without WordPress.Com in the URL. Access to the 30,000 plugins on WordPress. Using WordPress.org allows users to have full access to the wide range of options WordPress provides for websites. The first step in setting up a WordPress site is to purchase a domain name. To help you receive more search engine traffic, we search for a website that has the best converting keywords for your business. If you operate a local dentist shop, then use a keyword research tool such as Google Keyword Planner or KeywordTools.io. Having the right keyword for your domain can be one of the biggest things your company does for marketing the site. If you still need help with your keyword research contact us, so we can test the best keywords for your business. Conversely, while keyword research is very important remember to balance out the keyword research with other aspects of the domain. For example, is the domain easy to say or type? What is better a .com or .net domain? These ideas matter when figuring out the best domain name. Then when you have the right domain name, use a service like GoDaddy to buy the right domain name for your business. Next, set up hosting. If your domain is the address where you website lives, then the hosting is the house you build on that address. Our preferred choice for hosting is WP Engine. They offer one of the best fully-managed WordPress hosting options. Furthermore, WP Engine is well-known for their great customer service and work with users to keep your WordPress site updated. Once you have your domain and hosting, you now need to install the WordPress site. Remember, WordPress operates a platform that allows you to access your site’s content on the web with a limited to non-existent knowledge of coding. The benefit of using a service like WordPress is that they add all the code you need to your site to make it functional from day one. All you need to set up your WordPress site is upload this program onto your hosting. WP Engine has a quick install program to help you upload WordPress in less than two minutes. The basic install provides you with full access to your WordPress dashboard and a basic blog to use for your business. When you do the install, make sure to write down the login link and your user and password, so you can access the WordPress Dashboard. As we discuss in the next section, using WordPress is easy once installed. Use a good hosting service like WP Engine just makes the process easier. WordPress Dashboard allows users to add, delete, and edit content on the website. This is great if you need to change and graphics or text. Additionally, the Dashboard allows the admins to add new pages to the WordPress blog. Themes- We talk more about Themes in the section below. In short, they are the skin on the front of the website that make it useable and attractive to visitors. Plugins- While themes are great for making your site look nice, plugins enhance the functionality of your website. This is another topic we discuss below in the post. Media- Store images and video on your WordPress blog to enhance the look and feel of the site. This can be done with the media uploader. Comments- Moderate comments on your blog posts through the comment section. We discuss below some plugins to automate some of your comment moderation. Appearance- As the name suggest, the Appearance section deals with the various facets that alter the appearance of a website to users. First, you can find the theme part of the website in the Appearance section. You can also find the widget section under appearances. By default, the widgets are used for the sidebar on WordPress. Many plugins can be added to the website through the sidebar. Finally, if you know some coding you can use the editor to make changes to your site. If you do not know code, then stay out of the WordPress editor. One mistake can mess up the entire site. Users- Do you have multiple admins managing your blog? What about giving subscriber access to clients, so they can access certain sections of the site. You have an unlimited number of options with whom to add and blacklist from the Users section. Tools- The biggest feature in tools is the import/export options. You can import and export content from your blog directly from the tools section. These features allow you to move content from one blog over to another blog. It can be useful for backing up your content on your computer as well. The problem is the data is not easy to access without a WordPress site. Settings- Besides for being the place where many plugins add their own plugin settings, the settings also contain the major settings to change some of the core parts of your WordPress site. This includes the General, Writing, Reading, Permalinks, and Discussion settings on your site. General- The basic components of the website are located here, including the site and domain name, as well as the time/date format used. Writing- As the name suggests, this setting allows users to create different types of posts. For example, using the bookmarklet Press This, so you can drag and drop a link into your bookmarks. The bookmarks allows you to capture text, images, and videos throughout the web that you want to use on your blog. Additionally, this section has a little used tool to help writers send blog posts via email. The Writing section shows you how to set up an email account you can use to email blog posts remotely to your site. Finally, the Writing section has a ping subsection. The Ping subsection has a link to Ping-O-Matic included already to notify Google of new blog posts created recently on the site. Reading- Choose how many blog posts to display on your home page. Or perhaps, you do not even want your blog on the home page. The reading settings allow you to change the homepage of your site to any static page of your choosing. Make sure to create the page before changing the pages. Permalinks- Set the permalink structure for all of your posts and pages. The permalinks are the structure behind the URL for each page. For example, what format do you want your blog posts permalinks to each blog post? If you want to create a hybrid option, then you can use the custom URL structure option in the permalinks. The choice is yous. 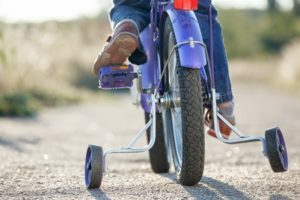 Discussion- This section sets a number of commenting rules that are used in the comment section we discussed earlier. This includes moderating inappropriate comments automatically. WordPress comes with a theme from Automattic (the creators of WordPress). This theme allows users to customize parts of the site front end. From the dashboard, you can access the default Twenty Fifteen theme- the latest WordPress theme- to change the background, header image, colors, and widgets on your site. For example, if you have a logo of your website then you can add that to the header image section of the theme. If you add the header image, keep in mind that the recommended size is 954 × 1300 pixels. Additionally, being able to change the background image and colors of the site is important for most small business owners looking to have their website match their offline marketing materials. WordPress themes are available to do practically anything you want with a website. From creating a membership site to a portfolio of your work to creating a responsive theme for mobile users to easily view your site. W3 Total Cache- The plugin improves the speed of your website by reducing the download time of your websites content. This is done by offloading the images on your site to third party Content Delivery Networks and reducing the number of operations that load each time a page is viewed. WP SEO- Optimize your search engine traffic with WordPress SEO. This plugin by Yoast helps you optimize each post, as well as the entire website. This includes everything from page analysis to adding XML sitemaps to help your site have the proper search information. JetPack by WordPress- This WordPress created plugin rolls 34 different plugins into one. JetPack includes features for customization, mobile, content tools, visitor engagement, site performance, and security plugins all under one umbrella. Better WP Security- Website hacks are at an all-time high. Protect your WordPress site from hackers. The plugin blocks specific IP addresses from entering your site, as well as take care of a host of other security issues. Floating Social Bar- Add social networks to share the content of each blog post you write. This is great for users sharing your content. We discuss this plugin in more depth in the WordPress Marketing section. Disqus Comment System- Popular commenting system used to moderate website comments on a site automatically through spam filters, blacklists, and whitelists. The plugin also creates comment threads on a blog post. WP Touch- A popular plugin that creates a WordPress theme for every users viewing your website on a mobile site. SEO Friendly Images-Allows users to tag images with the right alt tags and title to increase search traffic from image searches on Google. Contact Form 7- Provides a dynamic website contact form for visitors to contact the website. Additionally, the forms has Captcha, spam filtering, and other features to help the communication process on your WordPress site. Back Up Buddy- A premium plugin from iThemes that allows users to back up the entire website to a third party CDN or to your computer. Can also be scheduled to do so on a regular basis. NextScripts Social Media Auto Poster- While this is not the only social media automation tool on WordPress, it is definitely one of the best. This plugin automates social shares of your blog posts to various social networks, including Facebook, Twitter, LinkedIn, Google+, Pinterest, StumbleUpon, YouTube, and other leading social networks. Set it up once, and every time you send out a new blog post, your articles are shared on your social networks. Now that you have your WordPress settings up, it is time to create your website pages. To do this, go to the pages tab on the menu on the left. WordPress automatically creates a sample page for you to start playing around in, but if you want to add a new page, on the Pages’ section and click the Add New button at the top. The Page and Post editor that we discuss in the next section are very similar. Both have a visual and text editor, so you can add text, upload images, embed videos, and place code into your post. We discuss the editor and other features in more detail below. However, the main difference between a post and a page is that posts are listed in reverse order on your blog page. With each new post, the previous post gets bumped down more. Pages are static, and also at the top of the WordPress hierarchy. Nowhere is this more apparent than in the menu on the site. You can find the menu in the Appearances section on your dashboard. In this case the pages create an overall guide to lead visitors through the site. Think of the traditional 5 page website that many companies use: Homepage, About, Contact, Services, and A FAQ/Testimonials page. WordPress, however, gives you the ability to create an unlimited number of pages on your website. Therefore, you can add multiple service pages, and also include additional relevant information for clients. If you want to start providing regular news and updates, then you go to the next part: WordPress Posts. As we mentioned above, WordPress Pages and Posts are very similar in design. The main difference is that Posts are for more regular website usage when you are blogging or sharing regular updates with your website visitors. Therefore, it is important to understand more about how the editor works. First, you have the visual editor. Just like in a Microsoft Word or Google Document, you can bold, italicize, and underline words. The visual editor also allows you to center, right, and left align content on your site as needed. Additionally, you can add styles for specific words. Therefore, if you want to add different headings, you have the options of Heading Sizes between 1 and 6 with Heading 1 being the largest size. While there are a few more features like adding links and lists, these are the main features of visual editor. Second, the text editor allows you to add HTML content to your page. Switching between the visual and text editor is as simple as clicking on the tab while working on your posts. One of the most useful reasons for this is if you want to add video to your posts. Major video sharing sites like YouTube, Facebook, and Vimeo all have embed codes that allow you to embed the videos on your site without hosting the videos themselves. Therefore, if you want to share a YouTube video on your site you can copy and paste the embed code directly onto the text editor. Remember that once you are done with your blog post to publish the post, so it is available to be viewed by your readers. If you have certain pages that you do not want to be visible to everyone, then you can change the visibility before publishing the post. Finally, if you are a busy with your business, remember that you can publish posts in advance through the scheduler on WordPress. We discussed earlier some of the plugins you can use for your blog. Now that you have your first blog post written, we want to discuss them in further detail how to use WordPress to assist with your marketing. WordPress SEO by Yoast- Entire guides have been written about how to use this plugin alone. One of the most popular on WordPress for a reason. It works! The plugin makes search engine traffic easier to obtain with the simple format. 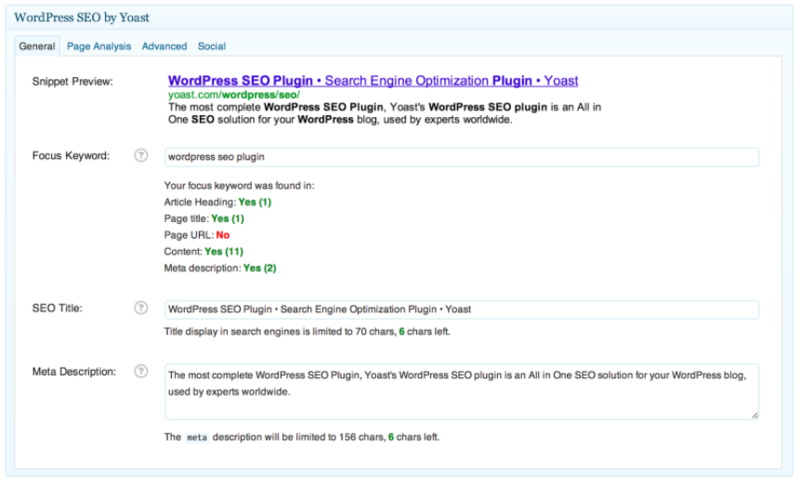 Every blog post you write, you should use WordPress SEO by Yoast plugin below the visual editor to make sure your post is optimized for search traffic. 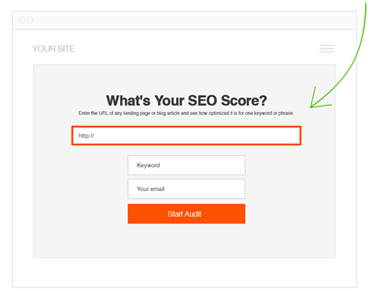 The plugin analyzes your post to determine if it can bring in significant search traffic based on Googles’ latest algorithm updates. Next Scripts-Social Media Auto-Poster- As we mentioned in the plugin section, Next Scripts can automate your social sharing. This can save you a lot of time logging in and out of every social network you own to post content. Time you can then use for connecting with others on social media to share your content even further. Floating Social Bar- Speaking of having others share your content on social media, make sure to use the Floating Social Bar. Make it easy for users to share your content with a social bar that allows sharing with a few mouse clicks. This plugin helps visitors share your content on Facebook, Twitter, LinkedIn, Google+, and Pinterest. Creating your first WordPress site can be a bit daunting. Understand that it is like any other application on the web. The more familiar you get with using WordPress, the more comfortable you are using the platform for your business. It takes time to set up, but this step by step guide should help you easily navigate through your new WordPress site, so you can drive traffic to your website. If you still have questions about how to set up your new WordPress site for your business, then please contact us directly. I must admit that I skipped most of the blog, but what I’d like to know what plugin you are referring to when you talk about the floating social bar. There is no plugin named that way. I used Social Pug and a more advanced one which had too many options. What would be your recommendation for an eay to use plugin? Thanks again to write a complete guide of wordpress solution. It really helps to me. I’m at the beginning of the way to create my own site. Thanks for good guide. As a newcomer, I found out some really useful information. For example about keywords. I have to think carefully about the name of my future site. A good name is great! But starting it is even better!